We are a flexible, highly professional removalist service which specializes in backloading. We will ensure that your moving requirements and schedules are met through our extensive Australia-wide network of interstate removalists. Backloading, as you may know is a removalist method where a customer’s belongings are shipped along the belongings of other customers to take advantage of extra container space, we have procedures to keep your belongings catalogued, safe and secure with no mix ups with other shipments. The advantage of backloading is that customers are only required to pay for the truck space they require and not the whole truck itself. Through this method, we can ship more, serve more and our customers save more with the discounts we offer. Utilizing backloading removalists can save loads of money when moving your belongings interstate. We value your belongings as much as you do. Compared to other removalists, our very extensive network maintains a very high standard of quality. Every backloading removal job is carefully monitored and tracked to ensure this quality. There will always be space in our trucks to accommodate your needs as we keep reserved space for immediate or impromptu removalist orders. If one truck is not enough, through our wide network, we can easily allocate several to carry your cargo. Backloading is also an advantage to the environment as our trucks don’t always travel empty-handed and wasting precious time and petrol. Taking advantage of backloading is a win-win situation for you, our company, the environment, and our other customers. First, you get the services of true professionals in interstate backloading removalist services and this cost-effective method allows us the flexibility to offer discounts to our already inexpensive prices. Second, our backloading removalist service is a bonus to the environment. Through this method, we save fuel and thus the environment by being fuel efficient by not traveling under capacity, always ready to fill that extra space with your removalist needs. There are so many things you need to know about when moving, Our FAQ does a fantastic job covering most topics, however our information directory assists in areas we don't get asked about often, but we feel are just as important. 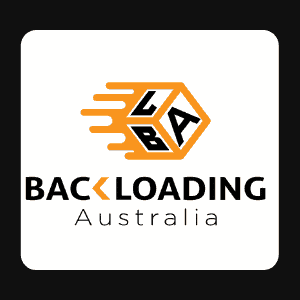 Third, our extensive network is always in contact with other backloading removalists all over Australia so you can immediately be connected with an available service if you want your belongings moved across the country. Again, the most cost-effective method of moving anything anywhere is through backloading. We have the flexibility to move a houseful of furniture or just a box of china anywhere in the country and all you have to pay for is the space you occupy, not the full truck. Conventional removalist services include all overhead on their charges including the journey of their trucks to their respective depots before processing the next order while we only charge for your one-way delivery. So if it’s okay with you moving your furniture and other belongings in a truck with someone else’s stuff, then through backloading, you can save a great deal of your removalist budget.